We have low prices on all popular brands of office products and supplies, and offer fast local delivery. 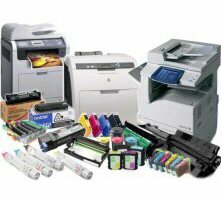 We offer Managed Print Services (MPS), Per Call Service, Contract and 3rd Party Service for all major brands of copiers, printers, fax machines, plotters, scanners, and more. Make Infrared Inspections a part of your Business Risk Management Plan. Infrared Thermography can be the most important and cost effective element of any electrical maintenance program. Solutions to prevent the loss of production and facility assets due to the interruption of power, or damage, caused by internal facility transients and lighting. Purdyne Technologies has the reputation for Personal, Customer-Oriented Service and Support! Established in 1982, we pride ourselves on providing customers with high-quality Office and Facility Products and Personal Service. We have a trained and dedicated team on hand to assist with printer repair, lightning mitigation and our wide array of services. Our mission is to help our customers make their businesses more efficient and profitable. In 2004 we opened our Power Quality and Energy Solutions Division. We offer cost-effective and well-administered solutions that will minimize costly breakdowns and unplanned shutdowns of equipment. We work with you to identify impending problems and apply solutions that help KEEP COSTS DOWN and PRODUCTION UP!